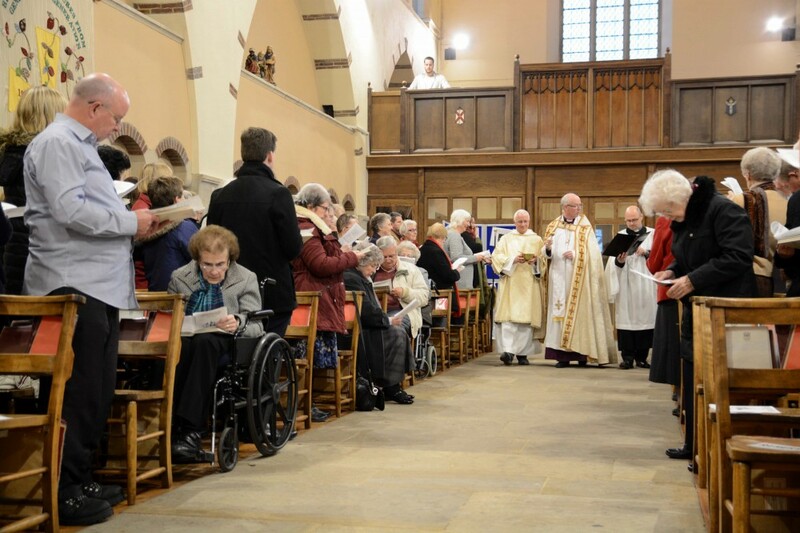 On Sunday afternoon (4 December) the congregation, including the Deputy Mayor and Mayoress, Bishop James, the Archdeacon of Rochester the Ven Simon Burton-Jones and other representatives of the civic community, have gathered to celebrate the Celebration of the Centenary of St Augustine’s Church, Gillingham. Ken Wheeler spoke about the building of the Church, and Glen Jones talked about St Augustine’s World War One background. The font, lectern, chancel step, Pulpit and the whole church were rededicated by Bishop James during the service. All hymns were chosen by the current church family, following a vote over the last couple of weeks.